The domestic unit tumbled 44 paise to close at 69.67 on Monday amid higher dollar demand from importers and rising crude oil prices. 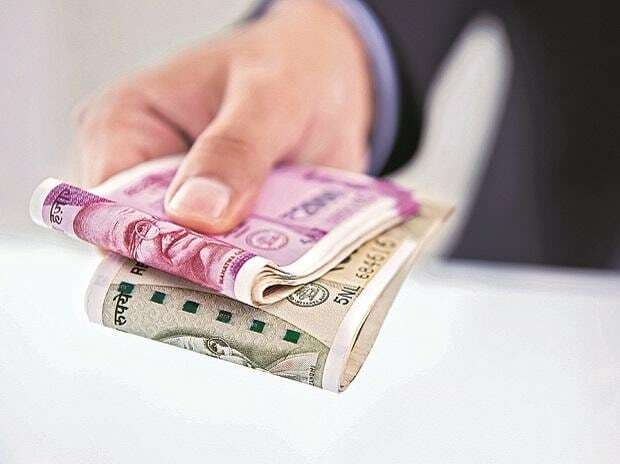 The rupee opened eight paise higher at 69.59 against the US dollar on Tuesday amid soaring oil prices and subdued Asian equities. The domestic unit tumbled 44 paise to close at 69.67 on Monday amid higher dollar demand from importers and rising crude oil prices. It was the third straight session of loss for the domestic unit, during which it has lost 126 paise. On the domestic front, FII flows have slowed in the last one week, thereby keeping the rupee under pressure. This week, on the domestic front, inflation and industrial production number will be released and the weaker-than-expected economic number could extend losses for the currency, notes Gaurang Somaiya, Research Analyst (Currency) at Motilal Oswal Financial Services (MOFSL). "Today, USD/INR pair is expected to quote in the range of 69.40 and 70.20," Somaiya added. On Monday, overseas investors bought shares worth Rs 329.6 crore in the Indian capital market while domestic investors (DIIs) were the net sellers to the tune of Rs 623.81 crore. On the global front, Asian shares were muted on Tuesday as investors braced for key events later in the week, including the start of the US earnings season and a crucial Brexit summit, while broader concerns about slowing global growth checked sentiment, Reuters reported. In the commodity market, oil prices rose to their highest since November, driven by fighting in Libya along with ongoing supply cuts pledged by the Organization of the Petroleum Exporting Countries and US sanctions against Iran and Venezuela.